It was always a matter of time, but now Alexa has the ability to turn Echo devices into multi-room speakers that many owners have long been clamoring for. Starting today, the feature is available for Amazon Music, TuneIn, iHeartRadio, and Pandora, while support for Spotify and SiriusXM is said to be "coming soon." This so far only applies to users in the US, UK, and Germany. Any combination of Echos, Echo Dots, and Echo Shows can be used in a multi-room setup. You'll need to use the Alexa app to create groups, which you then name to allow Alexa to recognize them. For example, you could have a 'downstairs' group and an 'upstairs' group. Then you can simply ask Alexa to "play John Mayer downstairs." Unfortunately, it seems as though the same device can't be part of more than one group at the same time, which will be a disappointment for many (Thanks to Tiuri Elvander for pointing that out). At the same time, Amazon has announced two new sets of tools for developers. The first is the Alexa Voice Service (AVS) Multi-Room Music SDK which will allow any AVS enabled speaker to be linked to Echo devices as part of a multi-room speaker system. This won't be available until next year, however. A Connected Speaker API developer preview was also introduced, so that connected audio systems can also be controlled via Alexa. Amazon is working with brands such as Sonos, Bose, and Samsung to get their devices up and running with AVS. You can find out more information about both sets of new tools on the Amazon Developer site. SEATTLE--(BUSINESS WIRE)--Aug. 29, 2017-- (NASDAQ: AMZN)—Amazon today announced an all-new Alexa feature that lets you control and synchronize music across multiple Amazon Echo devices in your home. Starting today, you can target music to a specific Echo device or a group of devices—just ask. Soon, this ability will be extended to control multi-room music on other connected speakers using simply your voice. Customers in the US, UK, and Germany can start using multi-room music today on their Echo, Echo Dot, and Echo Show devices. Amazon also announced two new sets of tools for developers to bring multi-room music control to their speakers. 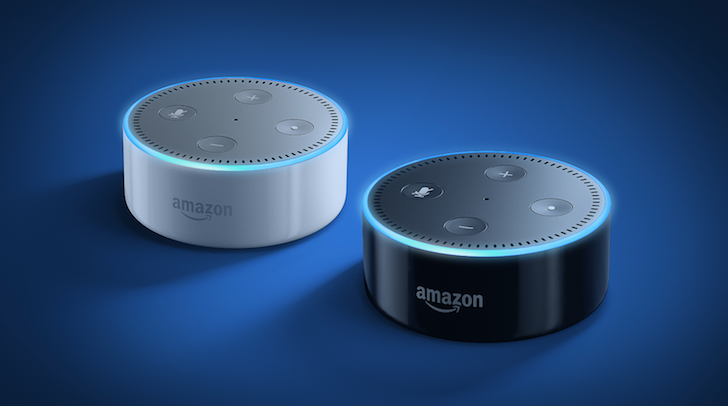 Amazon is introducing new tools that enable AVS device makers to integrate with Amazon Alexa Multi-Room Music. Doing so will allow customers to play their music across supported Echo and AVS devices—for example, a customer with three Echo devices and two standalone AVS speakers can play synchronized music across all five devices. These tools will be available early next year. The Connected Speaker APIs are available in developer preview starting today. Device makers can learn more about the new AVS developer tools here. Amazon is guided by four principles: customer obsession rather than competitor focus, passion for invention, commitment to operational excellence, and long-term thinking. Customer reviews, 1-Click shopping, personalized recommendations, Prime Fulfillment by Amazon, AWS, Kindle Direct Publishing, Kindle, Fire tablets, Amazon Fire TV, Amazon Echo, and Alexa are some of the products and services pioneered by Amazon. For more information, visit www.amazon.com/about and follow @AmazonNews.